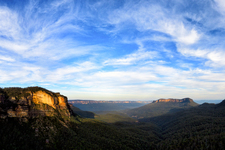 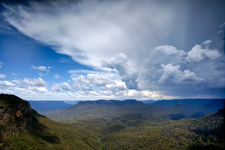 Jamison Valley South Katoomba, Blue Mountains National Park & World Heritage Area NSW Australia. 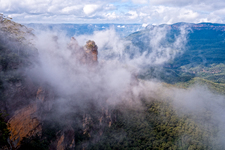 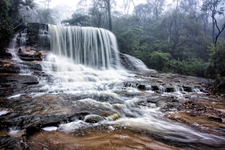 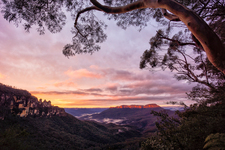 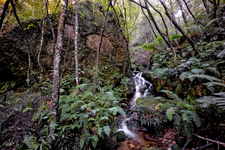 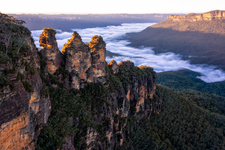 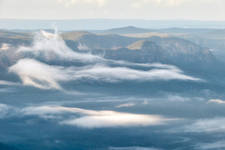 The Jamison Valley comprising of sandstone escarpments, valleys and waterfalls, stretches north-south from just outside of South Katoomba to Coxs River. 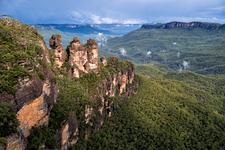 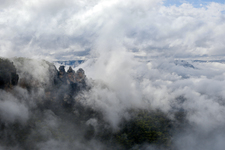 From west to east, it stretches from Narrow Neck Plateau to Kings Tableland, making it approximately 10 kilometres. 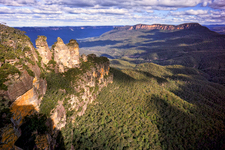 Like the entire Sydney and Blue Mountains region, the valley is a sandstone area, characterised by steep sandstone cliffs.